Specialist publisher Read-Only Memory, the team behind A+ books like the Sega Genesis Collected Works, are trying something different. 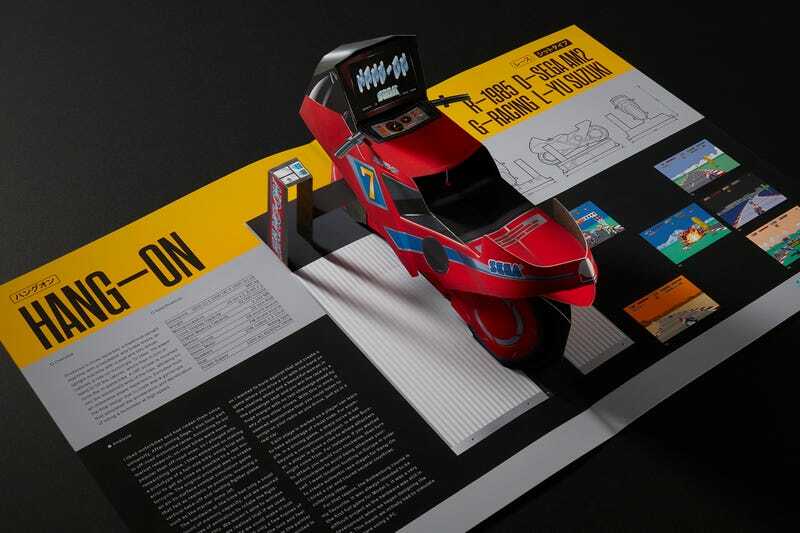 Instead of releasing another coffee table book about video games, they’re releasing a coffee table book about video games that also has cardboard pop-ups of old Sega arcade cabinets. The book is called SEGA Arcade: Pop-Up History, and it’s currently taking orders on Kickstarter. The Guardian’s Keith Stuart has written it, with features on Hang-On, Space Harrier, Thunder Blade, After Burner, and Out Run. Each game features a write-up on its importance and history, but is also accompanied by schematics, illustrations and the aforementioned cardboard pop-up model. Prices start at around USD$35, depending how early you pledge. I’ve got a few of their books and they are excellent, so hopefully this one continues the trend.